Description: Map showing 7 coninents of the World. A continent is the large landmasses on the Earth. 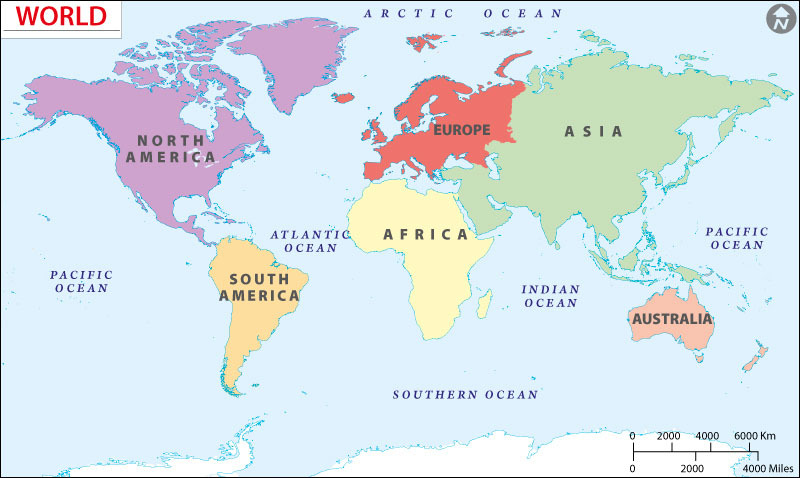 There are seven continents namely Asia, Africa, North America, South America, Europe, Oceania/Australia, and Antarctica; in the section of ‘Continents of the World’ you can find the detailed information about every continent with respective maps. This section has stored the several maps of each continent based on different themes for example outline map, political map, physical map, vegetation map, major cities map, population map, road map, rail map etc. Likewise, the detailedmaps with textual information are very fruitful for all age people especially students, teachers, and other professionals.